Project Type: Featured, Small Business Web Design. A small, brochure-ware website for a Northern Ontario cannabis seeds vendor. See seeds varieties and order online! 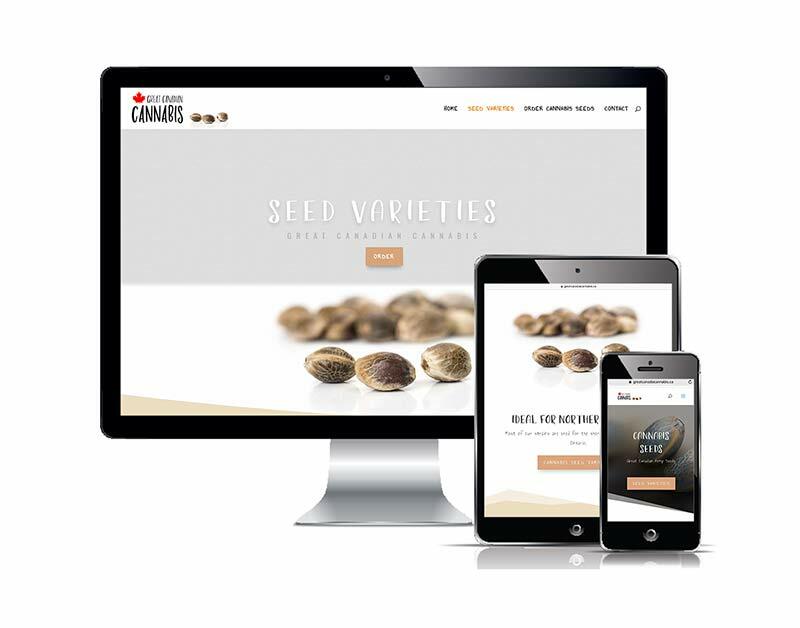 The objective was to showcase all different cannabis seed varieties and offer a basic method for ordering seeds online. The germination or public use of Cannabis seeds and their derivatives is still illegal in Canada (May 2018). Although passing of new legislation appears imminent in Canada, Great Canadian Cannabis still sells their seeds for souvenir purposes and for storage for when the laws change. This Northern Canada (French River) cannabis seed vendor will not discuss germination, yields, THC levels, etc., as it is still illegal to germinate seeds in Canada. Medical use is the only legal and appropriate use for such products. The vendor informs its website visitors and potential customers that questions or inquiries related to the germination or growth of cannabis seeds for the purpose of large-scale production will lead to a refusal to sell. The project was developed under our French River Web Design brand and is hosted on our legendary WordPress Business Web Hosting platform.